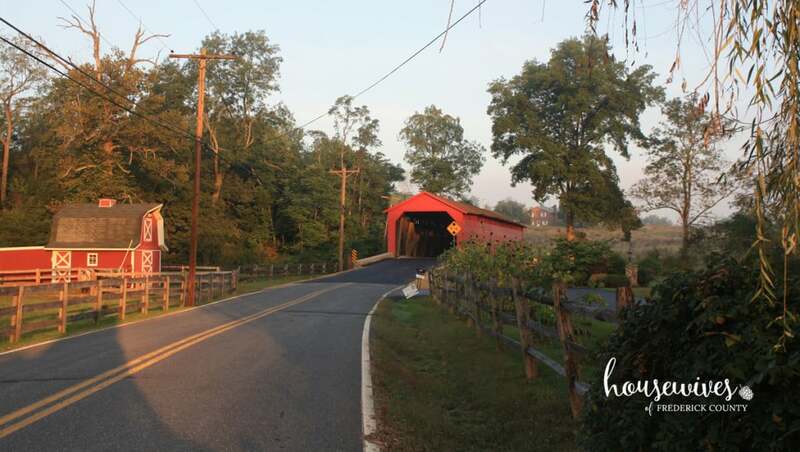 There are six authentic covered bridges remaining in Maryland, and half of them are right here in Frederick County! 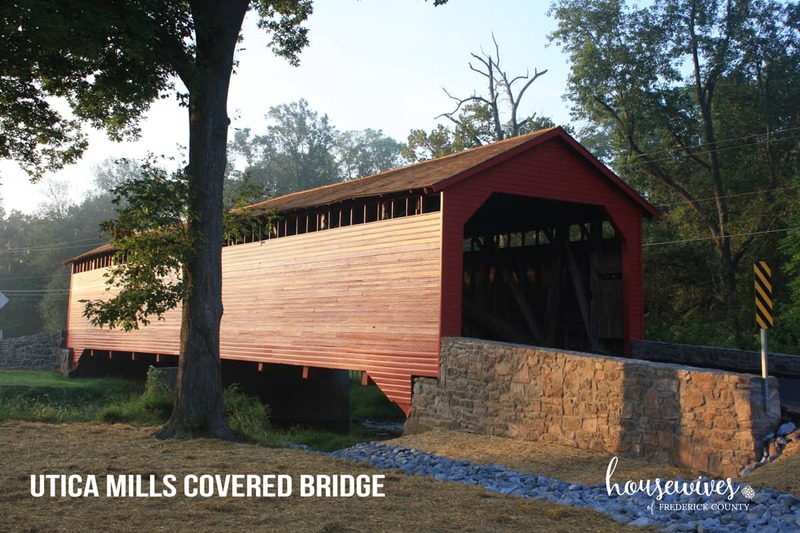 Utica Mills Covered Bridge – Johnstown Flood washed away a 250 foot, two span covered bridge over the Monocacy River on Devilbiss Road in Frederick County in 1889. 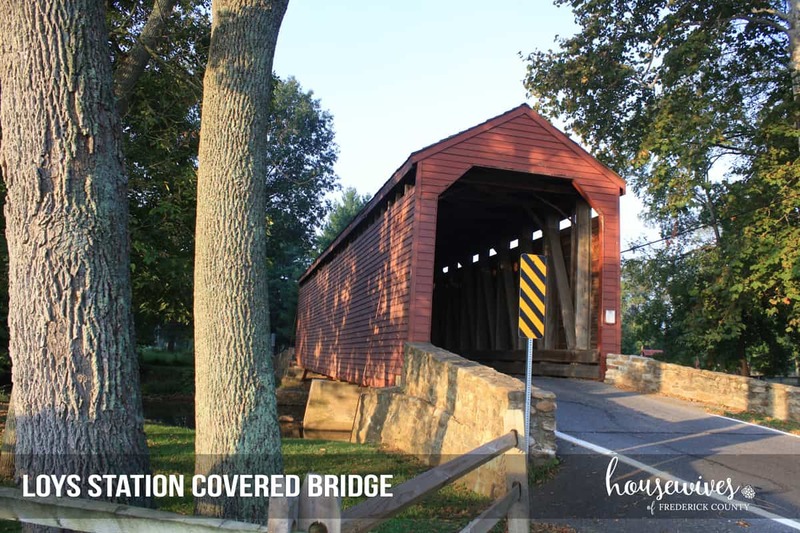 A span of the bridge was saved and later reconstructed as a 101′ covered bridge on Utica Road over Fishing Creek in Frederick County, Maryland. 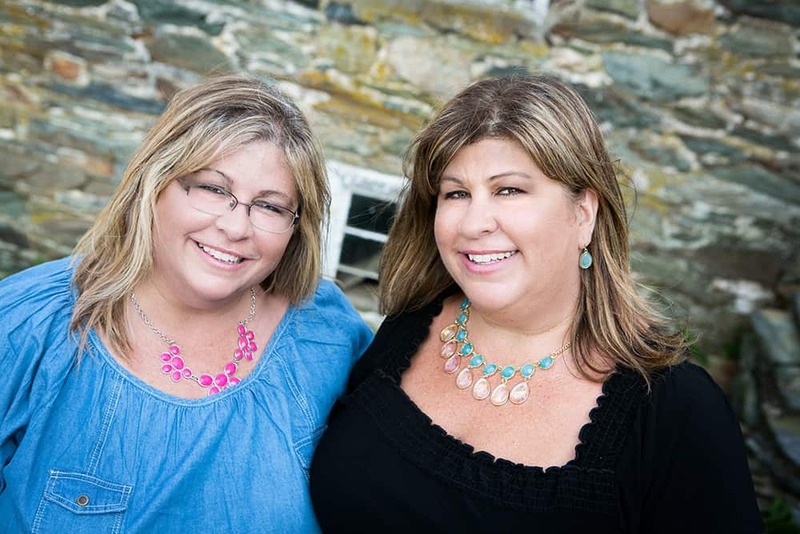 The original bridge is usually referred to as Devilbiss Road Covered Bridge. Most documentation shows the original bridge as constructed c1850, though many believed it was built in 1843. 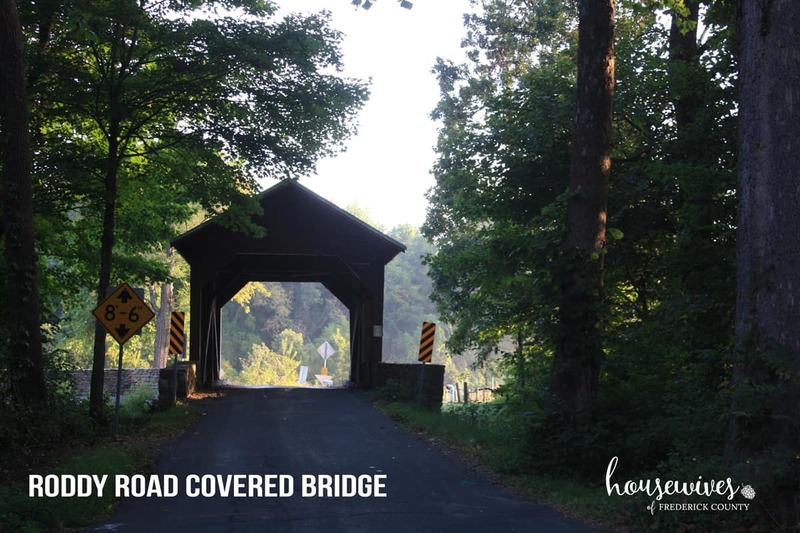 Roddy Road Covered Bridge – Roddy Road Bridge is the smallest covered bridge still existing in Maryland. The builder and year of construction are unknown. Most historians set the build date as c1850, about the same time as Loys Station and Utica Mills Covered Bridges. It is common belief that Confederate General JEB Stuart and his calvary crossed Roddy Road Covered Bridge on July 5, 1863 during the Gettsyburg campaign of the Civil War, though there are no records indicating any battles took place at or near the bridge. Loys Station Covered Bridge – Western Maryland Railroad at one time had a station stop at Loys, so the bridge became known as Loys Station Covered Bridge. The tracks still exist today. Of historical interest, it is believed that on July 7, 1863, after the battle at Gettsyburg, General George Meade crossed Loys Station Covered Bridge while pursuing the retreating Confederate Army. On June 27, 1991 a pickup truck was set on fire while in the bridge as part of an insurance fraud scheme. The local community began raising money for bridge reconstruction. The total reconstruction cost was nearly $300,000. Much of the cost was paid for by Frederick County’s Insurance company, who sought restitution from the two men eventually convicted of the arson and fraud crime. On July 4, 1994 the bridge was officially opened to traffic. 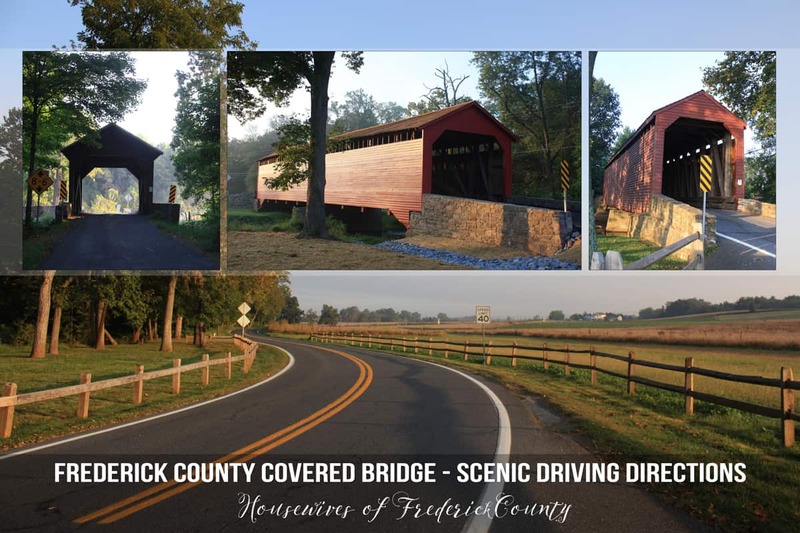 All three Frederick County Covered Bridges were recorded on the National Register of Historic Places on June 23, 1978. Courtesy of my husband, aka ‘Big Time Sunday Driver’! Unless it’s football season, then the rides are (much) shorter. From the intersection of US RT15 and Old Frederick Road, travel east on Old Frederick Road for 1.6 miles to Utica Road. Turn left to UTICA MILLS BRIDGE (road). You’ll see the bridge just ahead. Travel through the bridge to a small parking area on your right. Parking is quite limited, and is surrounded by private property. Still, worth a look. Snap a photo or two. I’m sure the owners are used to it! Head back to Old Frederick Road and turn left. Travel 4 miles to a stop sign. Go left and then take a quick right towards Loys Station Park. Travel for 2 miles to LOYS STATION BRIDGE. There is plenty of parking available at this location as the bridge is surrounded by a beautiful park. Heck, pack a thermos of coffee and stay a while! Travel through Loys Station Bridge to the stop sign. This is RT77, Rocky Ridge Road. Turn left onto RT77 and travel 1.6 miles into the town of Graceham. Turn right onto Graceham Road. Bear left immediately after crossing the railroad tracks and proceed to a stop sign at Apple Church Road. The total distance from Graceham Road to Apple Church Road is 1.3 miles. Go straight onto Apple Church Road to the first stop sign at Roddy Road and turn right. Follow Roddy Road .8 mile to RODDY ROAD BRIDGE. Travel through the bridge to park near the intersection of Roddy Road and Roddy Creek Road. There is a vacant lot area on the east side of the bridge. Sounds tricky, but is easily found. To get back to RT15, take Roddy Creek Road for .5 mile. Turn left for RT15 South to Frederick. I hope y’all will get out there and enjoy a scenic tour of these beloved bridges right here in our backyard! ‘Tis the season for some beautiful photo opportunities! If you snap some good ones, be sure to come back and share! We’d love to see what you capture.